Google has been hit with a record-breaking €4.3 billion ($5 billion) fine by EU regulators for breaking antitrust laws. The European Commission says Google has abused its Android market dominance in three key areas. Google has been bundling its search engine and Chrome apps into the operating system. Google has also blocked phone makers from creating devices that run forked versions of Android, and it “made payments to certain large manufacturers and mobile network operators” to exclusively bundle the Google search app on handsets. The European Commission now wants Google to bring its “illegal conduct to an end in an effective manner within 90 days of the decision.” That means Google will need to stop forcing manufacturers to preinstall Chrome and Google search in order to offer the Google Play Store on handsets. Google will also need to stop preventing phone makers from using forked versions of Android, as the commission says Google “did not provide any credible evidence that Android forks would be affected by technical failures or fail to support apps.” Google’s illegal payments for app bundling ceased in 2014 after the EU started to look into the issue. Google now says it will appeal the decision. “Android has created more choice for everyone, not less. A vibrant ecosystem, rapid innovation, and lower prices are classic hallmarks of robust competition,” says a Google spokesperson in a statement to The Verge. “We will appeal the Commission’s decision.” Google is also warning that the EU’s decision may affect the free business model of Android in the future. The European Commission has been investigating Android more closely over the past year after rivals complained that Google has been abusing its market dominance in software that runs on smartphones. FairSearch originally filed a complaint against Google back in 2013, and the group included competitors like Nokia, Microsoft, and Oracle. Former Microsoft CEO Steve Ballmer also called Google a “monopoly” at the time, one that authorities should control. While Google and Microsoft ended their Android patent disagreements a few years ago, that hasn’t stopped the EU from investigating the original allegations. The $5 billion fine dwarfs Google’s previous $2.7 billion record-breaking fine from the EU last year over manipulated search results. Google is still appealing that particular judgment in a back-and-forth that’s expected to last years. Facebook, Intel, and Microsoft have all faced significant anti-competition fines from the European Commission. Microsoft was famously fined twice by the EU after the software maker failed to include a browser ballot in a Windows 7 update. Apple was also ordered to pay back $15.4 billion in taxes to the European Union. Android has long been considered open-source software, but Google has slowly been adding key components into its Google Play Services software and associated agreements. Alongside anti-fragmentation agreements to keep manufacturers on Google’s version of Android, most Android handsets (outside of China) now ship with Google’s software and services bundled on them. The EU has now ordered Google to adhere to its judgment within 90 days and unbundle search and Chrome from its Android offering. With Google appealing the decision, the legal process is likely to run for many years ahead. 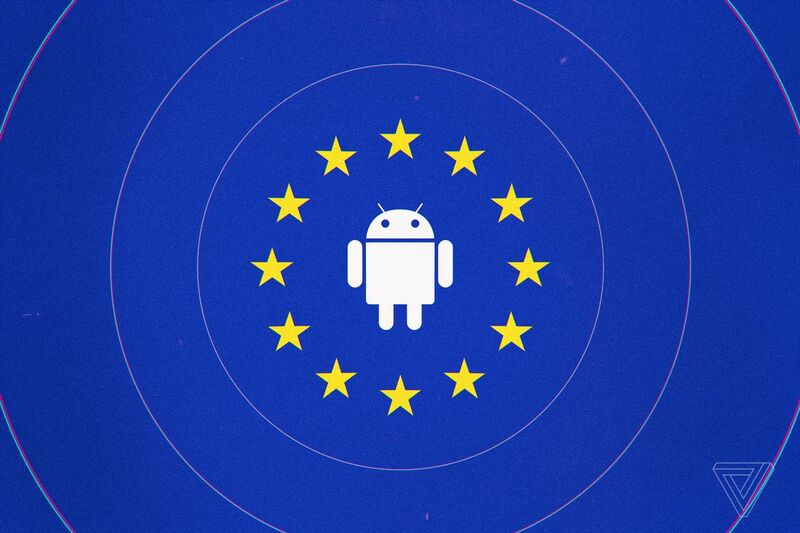 While many had expected Google to face its own “Microsoft moment,” the EU doesn’t seem to be forcing any strong future oversight on Android or asking Google to modify its software to include a ballot for alternative browsers or search engines.